This sign is for CE Wiggin Importer Paper. The sign’s colors are green, brown, and white. 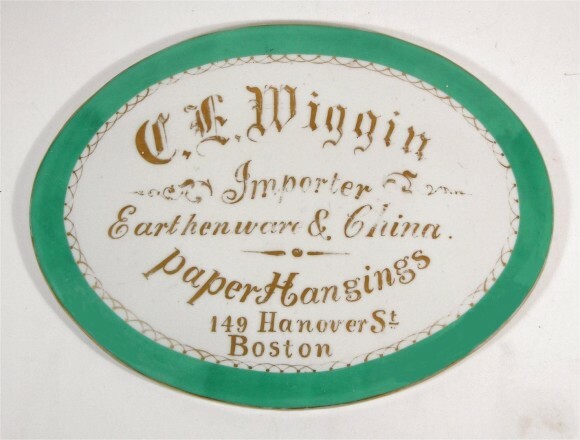 The text on the sign reads: CE Wiggin Importer Earthenware & China Paper Hangings 149 Hanover St. Boston. The sign shows text within a decorative border.